Sept. 10 2008 XBLA Release: Japan Invades… bowling allies? 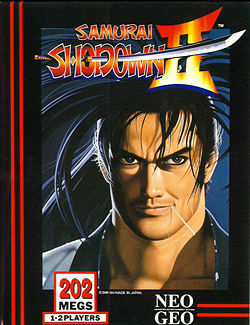 The official list was just released: look out for bushido brawlers in “Samurai Shodown II.” Experience a chess-like game with a few twists in “Shotest Shogi.” And get your fix of extra-terrestrial sports with “Rocket Bowl,” – an old Flash game that people just can’t get enough of. I’m looking forward to “Shotest Shogi.” I played the demo of this a few weeks ago and have been trying to get a handle on it ever since. I’m bad at chess, but this game is simply very fun! I can’t wait to give it another go. Posted in GamingTagged XBLALeave a Comment on Sept. 10 2008 XBLA Release: Japan Invades… bowling allies? I was browsing for interesting stories, like I do, and found this one. Austin, Texas residents will have a chance to compete in multiple games and win some great prizes. 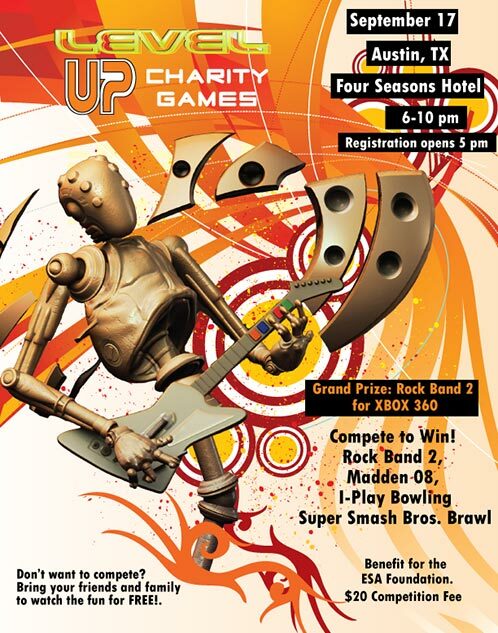 Madden 08, Rock Band 2, Super Smash Brothers, and even I-Play Bowling will all be played at this charity event being held on September 17th, in Austin. Your $20 entry fee will be donated directly to The ESA Foundation, which has a program that provides game development scholarships. Sounds like a fun event to attend, if you’re going to be in the area. I certainly wish that I was! The site sells a majority of PC Hardware, but in this auction, you have a chance to bid on a Guitar Hero X-Plorer controller, designed specifically for this charity event, and autogrpahed by Ciji (find out more about this superstar on her myspace, youtube, website, Gotcast, and her GamerTag). Posted in GamingTagged Charity, Guitar HeroLeave a Comment on Girl Geek auction: 1 of a Kind X-Plorer on eBay! Posted in GamingTagged Panels & Papers, PAXLeave a Comment on A Girl's Guide to getting your Girl into Gaming! See that tiny picture of that big idiot? That’s James Orry. He writes for VideoGamer.com. He wrote an article about the upcoming multiplatform game “Sky Gods.” The article is headlined: “HALO insertion game confirmed for PS3, 360, and PC.” While HALO is a term used for parachute deployment, and the like, using the word “Halo” in the video game industry causes specific expectations. Using “Halo” and “PS3” in the same headline? Simple hit-grabbing. The game looks good enough without James’ lame attempt to steal headlines. Leave marketing to the professionals. Posted in GamingTagged Halo, PS3, Sky Gods, xbox 3601 Comment on VideoGamer.com uses decveptive headline to nab hits! Halo on the PS3?